﻿There are some big infrastructure improvements coming to the Lower Highlands. 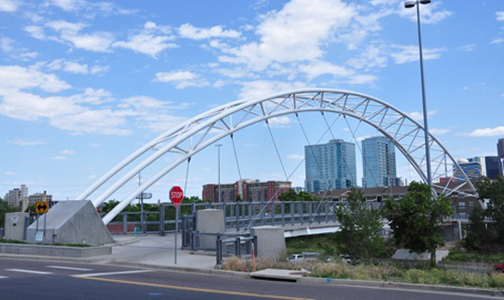 The City and County of Denver and CDOT have combined two projects into one. On Central Street, just across the highway from Riverfront Park, a 10-foot wide concrete bike/pedestrian trail will be built. Currently, it is just dirt and weeds that exist on the East side of Central. The new sidewalk and landscaping will connect 15th Street to 20th along with the Highland Bridge. This will give the only three connections between the Lower Highlands and Downtown a much needed facelift. Additionally, the 15th Street bridge over 1-25 will be completely rebuilt. It will have much wider sidewalks and fences and lights that match those of the 20th Street bridge. All of this work is scheduled to be completed by late 2013 and will cost approximately $23 million.